Rachel and Damian tied the knot on a beautiful December day at Moddershall Oaks. The weather, despite being bitter cold, was beautiful; the sun brightly in the sky creating the perfect atmosphere for a winter wedding.  This was Vision Wave Weddings second time filming a wedding video at Moddershall Oaks. Rachel and Damian had a lovely red colour theme running throughout the day, much like Lyndsay and Marks colour theme seen earlier this year at their wedding at Slaters Country Inn. Rachel and Damian had the extra special touch of reading their own special promises to each other during the ceremony, a nice change from the normal vows.